Based on the classic novella by Thomas Mann, this late-career masterpiece from Luchino Visconti is a meditation on the nature of art, the allure of beauty, and the inescapability of death. A fastidious composer reeling from a disastrous concert, Gustav von Aschenbach (Dirk Bogarde, in an exquisitely nuanced performance) travels to Venice to recover. There, he is struck by a vision of pure beauty in the form of a young boy named Tadzio (Bjorn Andresen), his infatuation developing into an obsession even as rumors of a plague spread through the city. 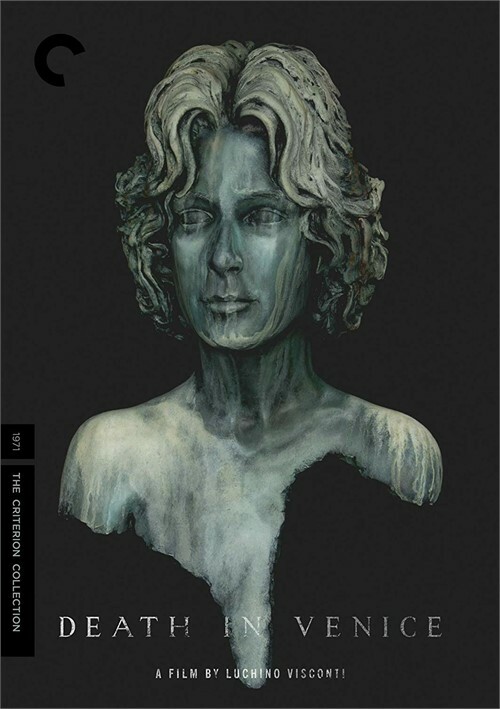 Setting Mann's story of queer desire and bodily decay against the sublime music of Gustav Mahler, Death in Venice is one of cinema's most exalted literary adaptations, as sensually rich as it is allegorically resonant. Guaranteed to ship today if ordered within the next 8 hours and 52 minutes. Luchino Visconti's "Death in Venice" is a lyrical and controversial film that was based on the novel by Thomas Mann. A middle-aged heterosexual artist (Dirk Bogarde) is obsessed with a young boy who is staying at the same hotel as he is when suddenly Venice suffers a plague of cholera and the two meet. Visconti was a gay man who was closeted yet an open secret-he thought he was in the closet when in reality everyone knew about his homosexuality and this is present in most of his films. Death in Venice" tells the story of Gustave Aschenbach (Bogarde), an unconventional composer. Seeking rest and relaxation, he tries to find it in a tranquil Venetian coastal holiday resort, Grand Hôtel des Bains on the Lido. Unfortunately he does not find the peace he so desperately wants because of his distracting attraction of 15 year-old, Tadzio (Bjorn Andresen) who is also vacationing at the same resort with his family. To Aschenbach, Tadzio symbolizes the perfection of beauty and his initial attraction soon becomes an obsession. When Aschenbach and the other tourists staying at the resort visit the city canter, they become aware that something is very wrong. Aschenbach makes the decision to leave but decides on impulse to stay on even though his life is in danger. He finds himself revitalized by the young and beautiful Tadzio. The film perfectly captures period detail with the result that the representation of 1910 Venice is totally pleasing. Dirk Bogarde gave a great performance that has since been considered as one of the greatest of any screen performances. Bogarde relies on actions rather than dialogue to capture the frail and old pederast." In Thomas Mann's novel, "Death in Venice", Aschenbach is an author, but Bogarde's character is loosely based on the composer/conductor Gustav Mahler (1860-1911) and the actor takes his appearance and details in the film from Mahler as well. Aschenbach came to Venice to finds peace but did not find it at all. Instead he is quickly caught up in his troubling passion for an androgynously beautiful adolescent Polish boy who embodies an ideal of beauty that Aschenbach has long sought. Gustav Mahler's 5th Symphony and the 3rd Symphony was adapted as background music for the film. Pasquale de Santis's gorgeous cinematography and art director Ferdinando Scarfiotti's glorious production designs convince you that no one would possibly want to leave Venice. Is this just a romantic and tragic gay love story or a profound portrait of the artist as an old man and his inevitably doomed life, or the plague- destroyed quest after unattainable beauty and perfection? Maybe it is all of them. Any which way, Visconti and Bogarde have come up with one of the cinema's masterworks. But, this is not a particularly enjoyable cinematic experience even though it's well-acted, well-accomplished and sensitive film. It is filled with somberness and its controversial with the author's metaphysical musings on art. It is not possible to show on film the inner workings of a pederast's lust for the beautiful young, Tadzio in a sailor-suit and blond locks. This is certainly an example of the book being a great read while the movie, even if intelligently done and with the right filmmaker doing it, decidedly pales when compared to the novel. But it is a work of great visual beauty.